Enjoy your tidy and cleared up green garden space. Work with experienced gardeners in Chester and be amazed of your backyard’s new look and feel. Unlock the full potential of your garden with clever planning and competent use of specialised equipment. Benefit from easy to book gardening services, keep your lawn in good condition and spend your free time on more important things in life. To create the garden of your dreams, your gardeners follow a checklist with pre-approved and discussed with you tasks. The main goal is a personalised approach to your individual preferences and demands. All services are hourly based, which means you pay only for the hours the gardeners are working in your property. Also, you can schedule all services as one-off appointments or on regular basis (weekly, bi-weekly and monthly). Call 01244 293 002 now and ask for your free instant quotes on all offered gardening services. Garden Maintenance: Benefit from regular garden care services. Let someone else do all time-consuming and sometimes boring tasks. 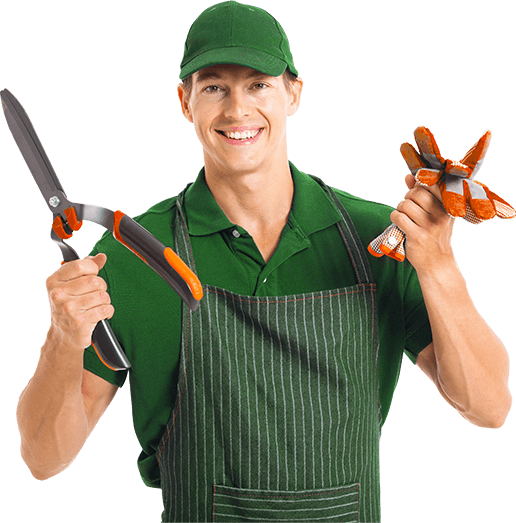 Garden Clearance: An hourly-based one-time garden maintenance service. Take care of all unwanted and overgrown vegetation in your backyard with one visit of the team. Get rid of the piles of leaves and other organic waste that’s cluttering your garden. Lawn Care: Keep your lawn in evergreen and healthy state. Take advantage of professional mowing, feeding, fertilising, aerating, weeding and more, according to the current season. Create that beautiful place for you to enjoy and for your kids to play. Garden Waste Clearance: Make sure all your organic and non-organic garden waste is collected and disposed off in accordance to UK standards and regulations. Clear up your garden, recycle, save the environment. Gutter Cleaning: Let your drainage system be cleaned from the safety of the ground. Utilising specialised wet vacuum gutter cleaning equipment with extension pole and small camera at the top. Driveway Cleaning: Enhance the exterior look of your property. Proper jet washing is able to remove all build up contaminants and stains off every surface only with the power of pressurised water.